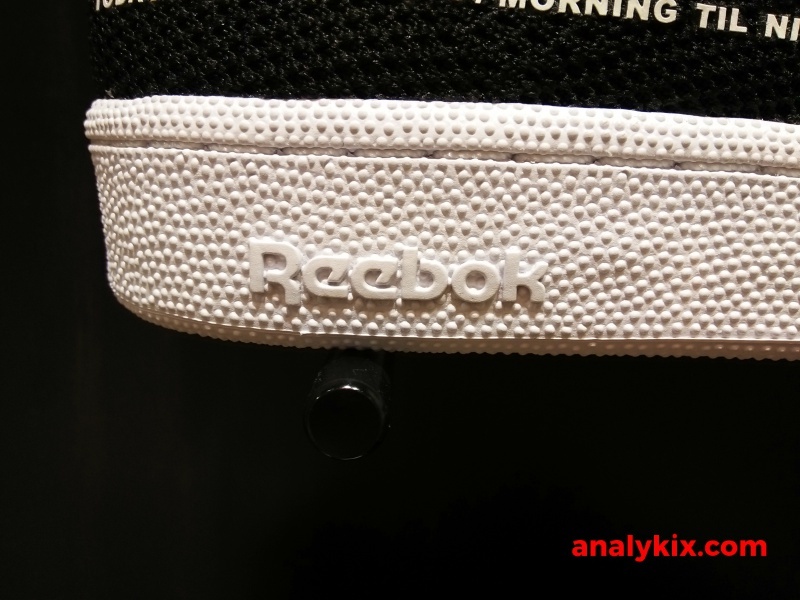 I was at Vertis North last weekend and saw the Reebok store there so I decided to check it out. 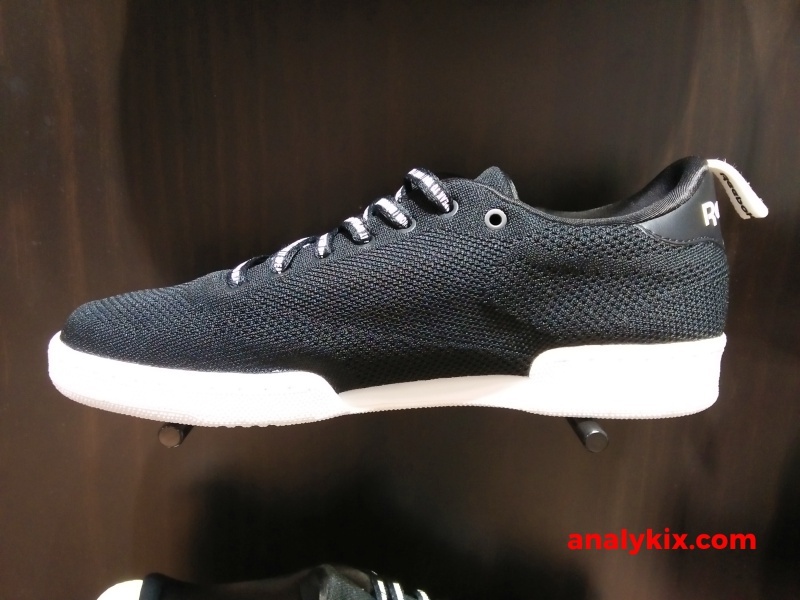 There I saw the Fusion Flexweave, a shoe ideal for circuit training. On the next rack, I saw this collaboration with Publish. 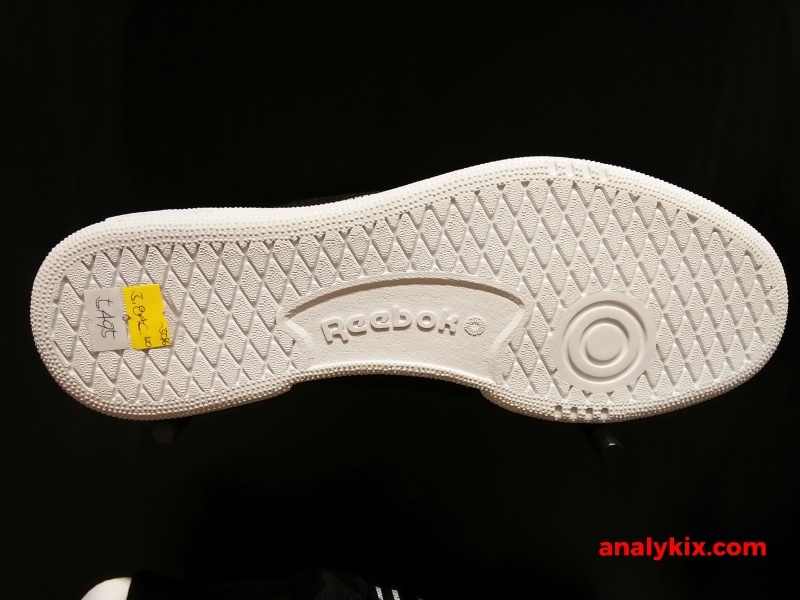 The Reebok Club C, a retro model has been amped up with Ultraknit, Reebok's own version of knit upper. 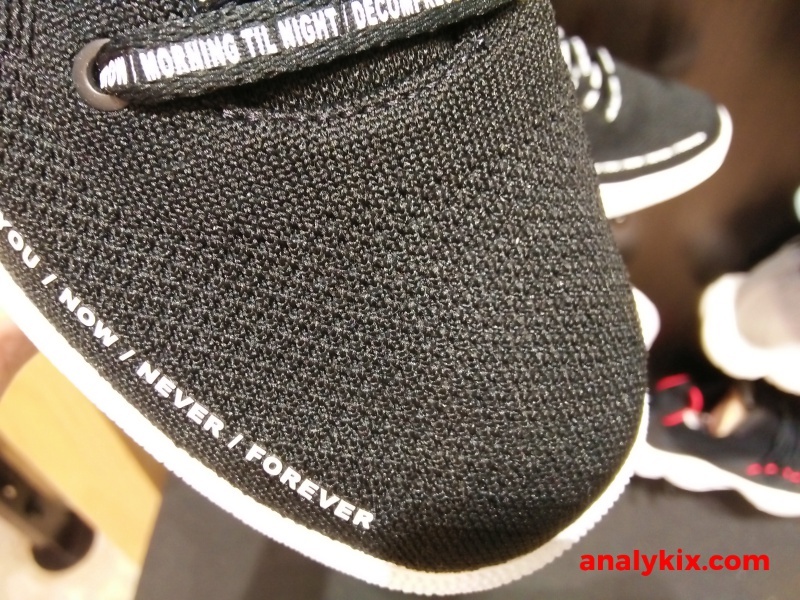 It isn't very soft nor stretchy, but enough to provide a soft and premium feel and still remain sturdy as she shoe retain its natural shape. 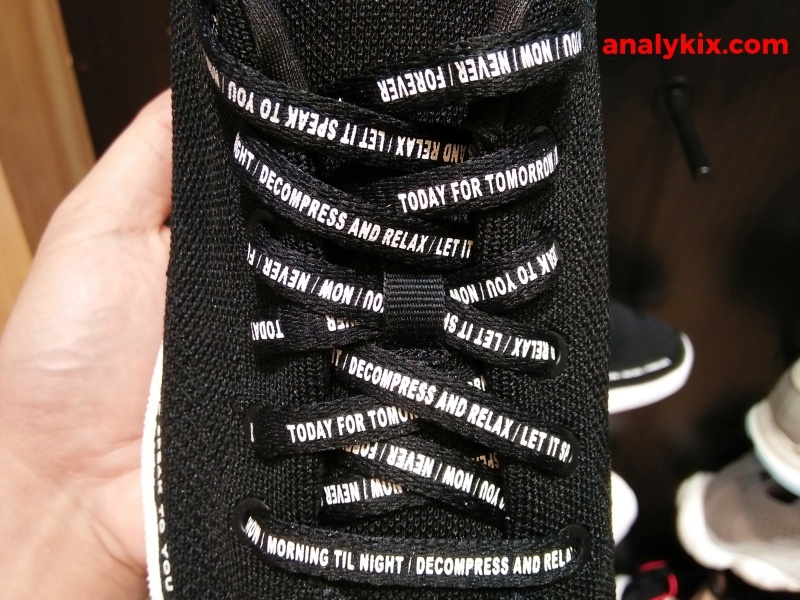 There are some texts written on the side panels throughout the shoe as well as on the laces. 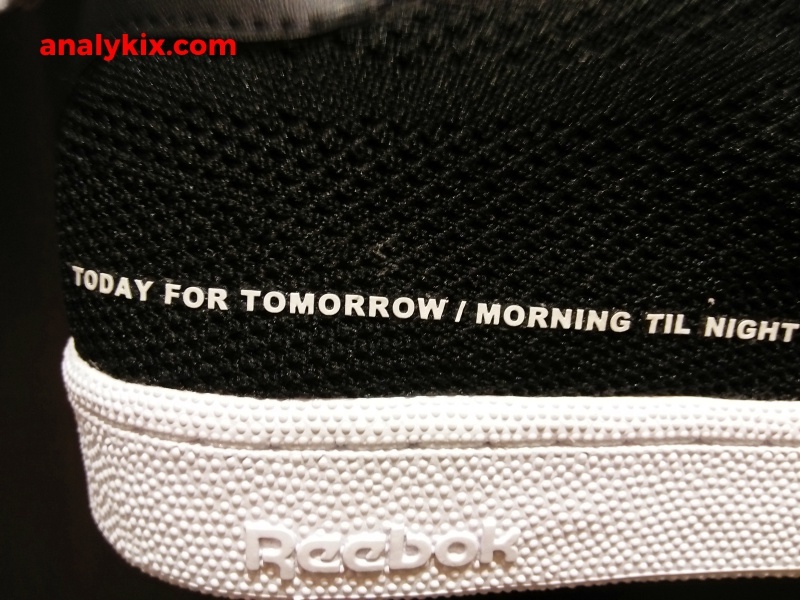 It isn't very striking but the subtle and text placement makes the shoe look good in its own way. This collaboration between the Reebok Club C and Publish dropped some time ago so this isn't really a fresh drop. 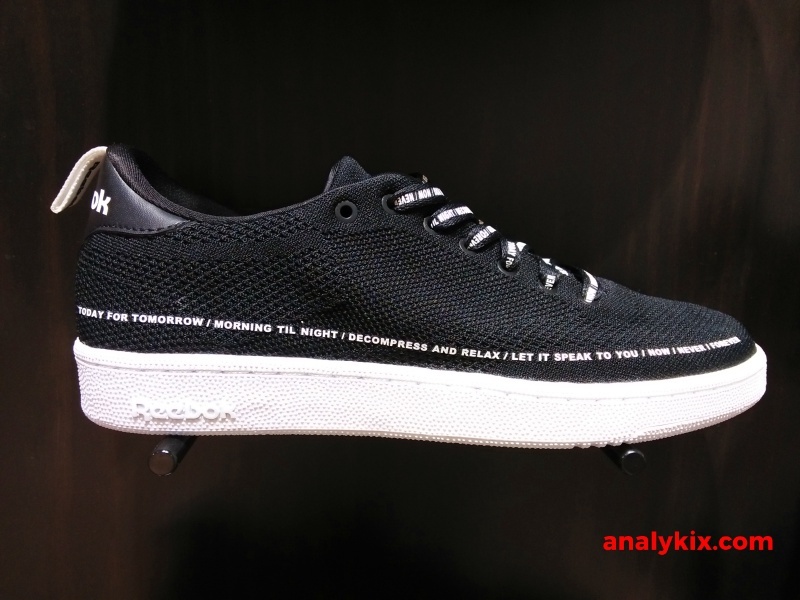 However, it is still on the shelf rack and is now being offered at a discounted price of Php 3,845 so if you plan on copping them, then you can head out at the Reebok store in Vertis North.